On the cusp of history, Sindhu failed to build on a handsome lead in the decider to go down 21-19 19-21 18-21 to Yamaguchi after battling for an hour and 19 minutes. 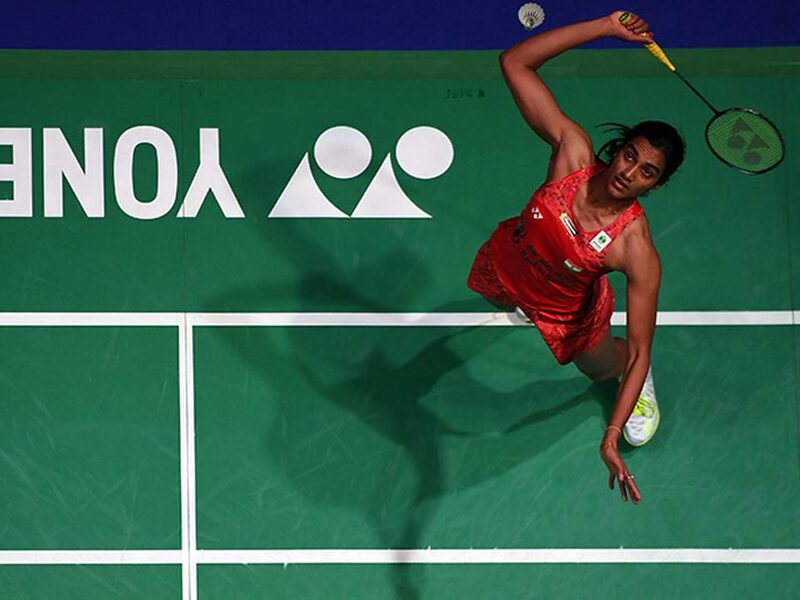 India ace shuttler PV Sindhu on Saturday bowed out of the All England Badminton Championship after losing an epic semi-final against Japan's Akane Yamaguchi. Sindhu failed to build on a handsome lead in the decider to go down 21-19, 19-21, 18-21 to Yamaguchi after battling for an hour and 19 minutes. This was the ninth victory on the trot for the 20-year-old Japanese, who had won the German Open early this month. In scenes similar to the one that went down to the wire in the summit clash of last year's Dubai Super Series Final, both Sindhu and Yamaguchi threw themselves on the court, traversing diagonally again and again during a series of punishing rallies, which defined the edge-of-the-seat thriller. However, in the end it was Yamaguchi, who showed better nerves to walk away with the match and cement a place at the finals against World No 1 Taiwanese Tai Tzu Ying at the Arena Birmingham here. Despite being on the court for almost 3 and a half hours during the three-game matches in last three days, Sindhu didn't show any sign of fatigue and matched the nimble-footed Yamaguchi as they looked to outdo each other. But a slight lapse of concentration in the dying moments and the match was over in the end. 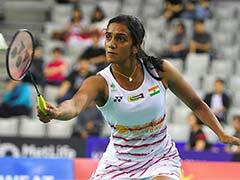 Sindhu, who has come out victorious in six of their nine previous matches, made an aggressive start with a smash and rode on unforced errors from Yamaguchi to jump to a 5-0 lead. Playing with the drift, the Japanese struggled to keep the shuttle inside court initially. A couple of shots going out from Sindhu and a tight net play saw Yamaguchi make it 3-8. Sindhu hit a stunning down-the-line smash but twice she erred at the forecourt as the Japanese moved to 5-9. However, Sindhu enjoyed a healthy 11-5 lead at the first break. The Japanese dynamo made Sindhu work hard with her attacking game. The Indian too tried to create angled strokes to put her opponent in difficult situations. Yamaguchi hit one at long and found the net twice as Sindhu lead 14-7. Yamaguchi continued to commit unforced errors as Sindhu doubled her lead at 16-8. However, the Indian missed one at the forehand forecourt and made a bad judgement to allow Yamaguchi reach double figures. 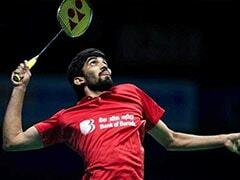 The Japanese kept fighting and started forcing Sindhu into error to narrow the lead to 15-17. A long rally ensued next which ended with Sindhu failing to sent one across at the forecourt. Another missed chance at the backhand forecourt and it was 17-17. It was again a couple of unforced errors which broke the run of points as Sindhu lead 19-18. A great judgement at the back line gave Sindhu two game points. Yamaguchi saved one with a half smash before Sindhu sealed the opening game with a smash and celebrated with a fist pump. The fast-paced rallies continued after the change of sides as the duo looked to outdo each other. Yamaguchi dictated the rallies but Sindhu kept up with her rival as the duo split the initial 14 points. It was quite a task to tame the baby-faced Japanese as she was extremely fast on the court and retrieved most of the diagonal strokes that Sindhu threw at her. In the end, a jump cross court angled smash and then a return after catching the shuttle early helped Yamaguchi reach 11-9 lead at the interval. After the break, a tight net play followed by a smash and then an easy mistake by Yamaguchi saw Sindhu make it 12-12. Yamaguchi, however, soon opened up a four point lead at 18-14. A cross court drive earned the Indian a point. But she couldn't reach the forecourt to retrieve a slow drop by the Japanese. A backhand flick near the court by Sindhu and a couple of miscued stroke by Yamaguchi meant the deficit narrowed down to one point at 18-19. Another long excruciating rally ended with Sindhu missing the line as Yamaguchi had two game points. Sindhu saved one when the Japanese hit long. But in the end a lucky net chord sealed the game in Yamaguchi's favour and kept her alive in the contest. The battle of supremacy continued in the decider and after the first six points, Sindhu unleashed a couple of fantastic down-the-line smashes on both the flanks to grab a 6-3 lead. She extended it to 8-5 with another attacking return. Yamaguchi won another 44-shot rally, while Sindhu saw one get buried at the net as the Japanese narrowed it to 7-8. Sindhu let out a scream after the Japanese sent one to net and then unleashed a precise smash to go into the interval with a four-point advantage. After changing sides for the last time, Sindhu grabbed two more points before Yamaguchi produced a body smash. The Japanese kept putting the shuttle in difficult positions and won another long rally -- 51 shots -- to keep snapping at her heels. A bad jugdement at the backline and another wide shot saw Yamaguchi level score at 14-14. The testing rallies continued as the duo moved neck and neck till 18-18. Sindhu lost a video challenge and a smashing follow-up return earned the Japanese two match points and she sealed it with another smash as Sindhu was left crestfallen.